Schizophrenia is a psychiatric disability for which you can obtain service-connection. This condition can often be very disabling and can drastically effect your life. 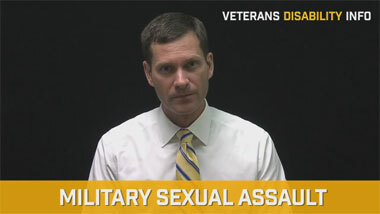 It is not unusual for these types of problems to begin to appear in late teen years and early twenties when many Veterans are on active duty. Unfortunately, the early symptoms of this problem are often missed and Veterans typically do not want to discuss the symptoms that they begin to experience. As a consequence, many years often go by without this condition being appropriately treated and diagnosed. Perhaps most disturbing, however, is the fact that in the military symptoms of schizophrenia are often labeled as a “personality disorder”. 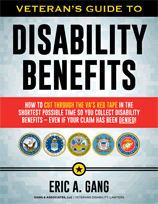 A Veteran is often discharged as being unfit for retention due to a congenital defect called a personality disorder. 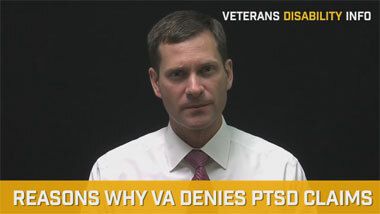 The VA will not pay compensation for personality disorders because they believe that these are conditions that you are born with. However, often times the symptoms that are labeled as a personality disorder during service are nothing more than the early signs of a schizophrenia. These symptoms begin to develop over time until it is fully diagnosed many years after service. Usually, at that time, the diagnoses of a personality disorder is no longer being attributed to the Veteran. Clearly, when you look back at the course of a person’s mental illness, the early signs can only be ascertained by viewing the case in hindsight. For example, I have litigated cases where a Veteran was diagnosed with a personality disorder during service and his current diagnosis is schizophrenia. In reality, the diagnosis of a personality disorder was incorrect and the correct diagnosis can only be determined in hindsight. Because if he did in fact have only a personality disorder, then that diagnosis would logically be present at the current time and there would be an absence of a psychotic disorder being diagnosed. Therefore, in these cases our experience has indicated that there is no substitute for top notch medical and psychiatric experts to undertake a forensic evaluation to determine the exact onset for the schizophrenia. Usually, these symptoms can be identified in hindsight allowing us to identify the beginnings of the disability to the time of active duty. If you have recently been denied for schizophrenia or another psychotic disorder, you are welcome to contact our office to discuss the possibility of pursuing an appeal. These can be difficult and complex cases and we certainly approach them with an aggressive strategy.